Ilya Yulievich Bolotowsky was an American abstract artist who emigrated to the USA from Russia in 1923. He was a founding member of the New York based organization, American Abstract Artists, as well as the member of the Ten, a group of nine expressionist painters who eventually broke their ties with the Robert Godsoe’s Secession Gallery. Bolotowsky was a painter, textile designer, teacher, and, in his later years, a filmmaker and a playwright. Bolotowsky was born in Saint Petersburg on July 1, 1907 to two poor university students. When his father finished law school, the family moved to Baku, which is currently the capital of Azerbaijan. There, now as the son of a wealthy lawyer, Ilya Yulievich was home-tutored. Later, when the family moved to Constantinople, he attended the French College St. Joseph. After arriving in New York City, Bolotowsky enrolled at the National Academy where he studied under the tutelage of another Russian emigre, Ivan Gregorewitch Olinsky. Until 1931, he designed silk textiles for a batik business. The money he earned partially funded his 10 month study trip to Europe in the following year. Upon his return in 1934, he resumed his work in textile design, participated in the federal pilot program Public Works of Art Project”, and taught art classes to children through church and settlement projects. Next year he painted abstract murals for the Williamsburg Housing Project. In the late 1930’s, he became a founding member of the Federation of Modern Painters and Sculptor, an organization based on political and artistic freedom. He continued his mural work into the early 1940’s with murals for New York World’s Fair and the Hospital for Chronic Diseases on Welfare Island. During the Second World War, Bolotowsky worked as a Russian-English interpreter for the army in Nome, Alaska. Upon returning to New York, he resumed painting and took up a series of teaching positions at the Black Mountain College in North Carolina, the University of Wyoming, and the University of Wisconsin, among others. Bolotowsky’s style was influenced by cubists like Pablo Picasso and Fernand Leger as well as abstractionists such as Piet Mondrian. The latter’s geometrical style is clearly visible in Bolotowsky’s diamond series. 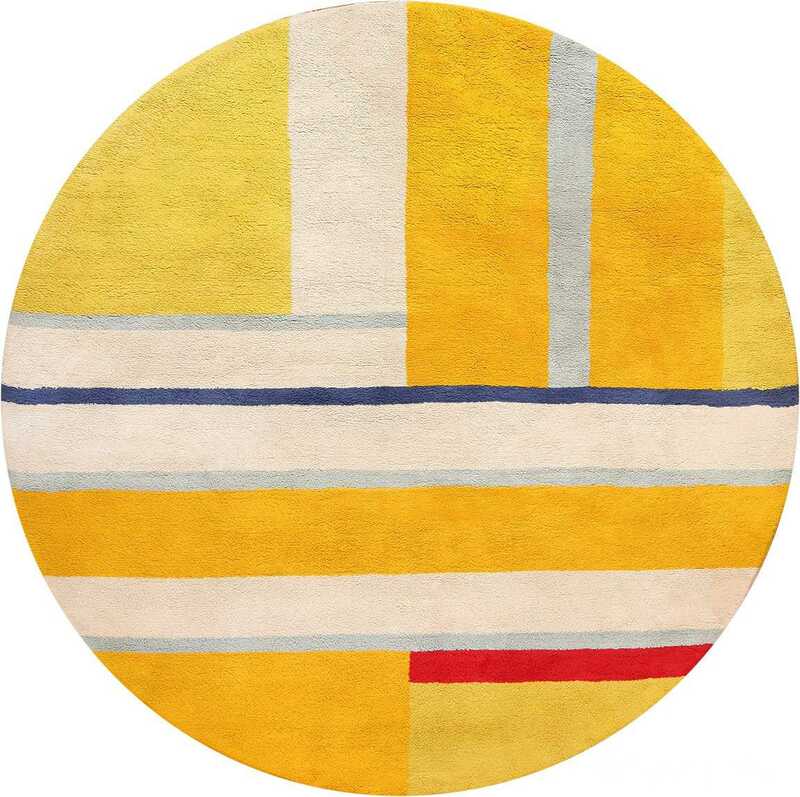 Between 1954 and 1970 his work was represented by the Grace Borgenicht Gallery in New York. In 1974, his work was exhibited in a one man museum show at the Guggenheim Museum in New York. His paintings are in the collection of several major museums, such as the Art Institute of Chicago and the Phillips Collection. He passed away in New York, in 1981. Unbeknownst to her, a North Carolina artist bought one of Bolotowsky’s paintings in a Goodwill store for $10 in 2012. Later that year, the painting, “Vertical Diamond,” sold at auction for $34,375. A similar piece by the title of “Small Diamond” is still in the collection of the Weatherspoon Art Museum in Greensboro.